Stop a gang of art thieves before they steal all of the world's priceless treasures! Take on the role of Grace as she works with a detective from France to chase down the crooks and rescue her friend, Chloe, who’s been kidnapped! 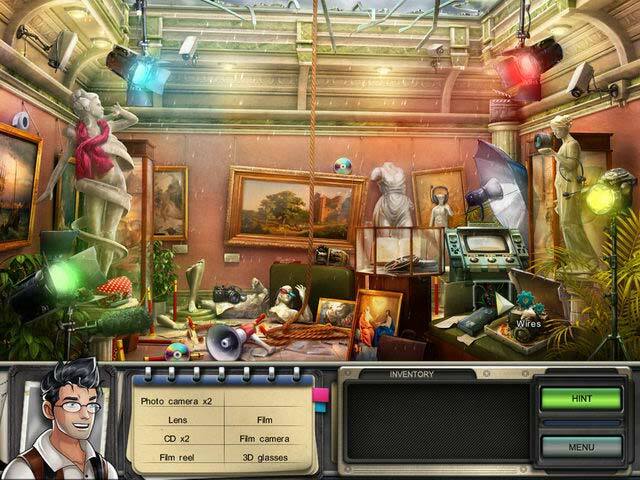 You'll have to bring all of your investigative skills as the felons globe hop from heist to heist, leaving empty art galleries and clues in their wake in Grace's Quest: To Catch an Art Thief, a fun Hidden Object game. Stop a gang of thieves! 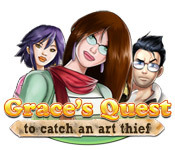 Grace's Quest: To Catch An Art Thief is rated 3.1 out of 5 by 9. Rated 5 out of 5 by jil1 from Fun HOG Very nice and pretty game. I tried only the demo version and liked very much. The objects are not difficult to find, hints are easy to use. It is a clear and bright game. The mini games are funny too. Not a challenge but it goes smothly and you have a lot of fun. I read others reviews and it seems to be a short game what is a pitty because it is a good entertainment. I recommend this game. Rated 4 out of 5 by Lilac13 from Fun, very pretty This game is quite fun while being very silly. It's very bright and objects are mostly easy to see. Some do blend into the background but hints are easy to use. If you want a bright, fun, pass the time game to play, this is it. Rated 3 out of 5 by coffeyfan77 from Not a Masterpiece, But Darn Good I enjoyed this little hidden object game more than I thought I would. Your character uses her art expertise to help solve a case that's frankly rather open and shut, but takes a few twists and turns along the way. The game looks pretty good, and the music was pretty good throughout, included some classical that I quite liked. No voices. Scenes are well done, and you'll have objects added as you work your way through the list. There is a high degree of interactivity, as you'll use some of those same objects in the scene, but in a very straightforward way. Nothing is too hard, and the minigames are hybrid puzzle-action that are different from most of what's in the genre. There wasn't enough art for what should be an art-themed game, and the whole thing is rather short with an ending that's on the wrong side of ridiculous. Still, entertaining journey, and a lot of fun along the way. Good for an afternoon diversion but nothing more. Rated 3 out of 5 by Mazeo from Easy but OK This game was probably 3 and a half stars for me. It was quite easy (and not very long) so it will not challenge an experienced player, but I was sick of the darker games so this was a pleasant way to "waste some time." I would have been disappointed had I paid full price, but it was OK for half price on special deal. Rated 3 out of 5 by fluffhammer from Too short and just okay Glad I only paid half price. It was a very short game. The story was cute, but it could have sustained a longer play. I would say it was a moderate to easy game in terms of challenge. Rated 2 out of 5 by Innovativemom from Not my cup of tea I found this game to be more irritating than anything else. It was the type of game that wants to offer hints whether you want them or not. Then there's the constant skip button which has to be hit over & over. 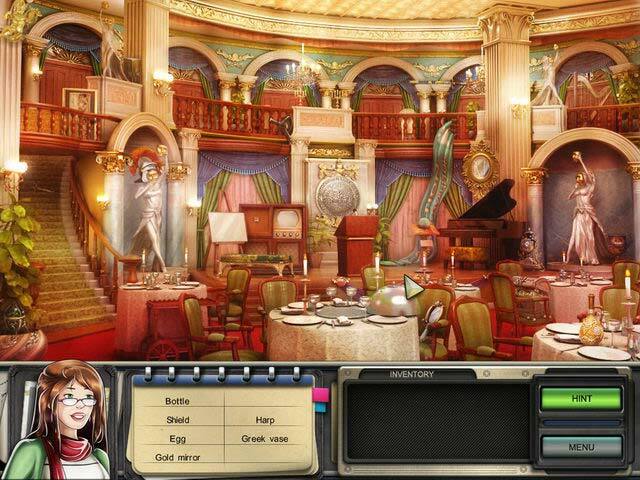 Rated 1 out of 5 by pennmom36 from Grace's Quest: To Catch An Art Thief I was able to tolerate exactly three Hidden Object Scenes before removing this really old school game. After graduating, Grace travels to Paris to visit her college friend and becomes the key witness to the theft of a priceless painting, The Mona Lisa, and they kidnap her friend Chloe as well. You must search through junkpiles of items, at the airport, at Chloe's apartment etc. finding listed items that are small and difficult to recognize. There are items listed in blue text that require some type of interaction, such as finding and placing items that belong or just opening up that item to expose the item you are looking for. There are several mundane puzzles such as searching for several rings in an x-ray machine, painting a canvas print or cleaning the fish bowl. Just a horrible form of entertainment, a game that didn't withstand the test of time. Stop a gang of art thieves before they steal all of the world's priceless treasures in Grace's Quest: To Catch an Art Thief!